For stage situations where you need your bass to really shine and be heard, the RedSub BP150plus 150W Bass Guitar Amplifier by Gear4music provides the additional power and ultimate sound shaping required. 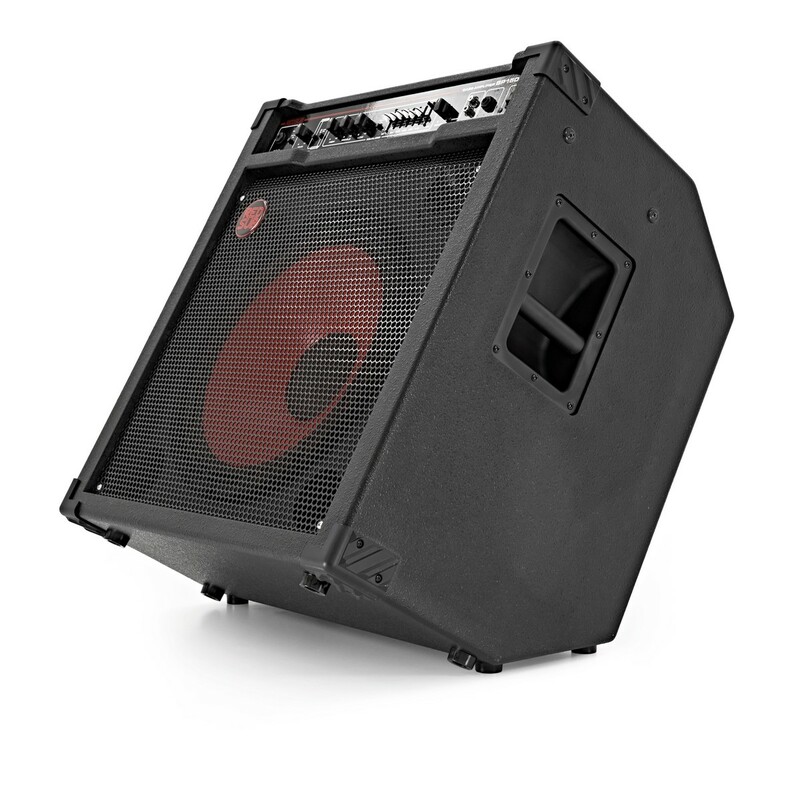 Featuring re-designed construction, the BP150plus combines all the volume you need for the stage with sound options for the studio as well. 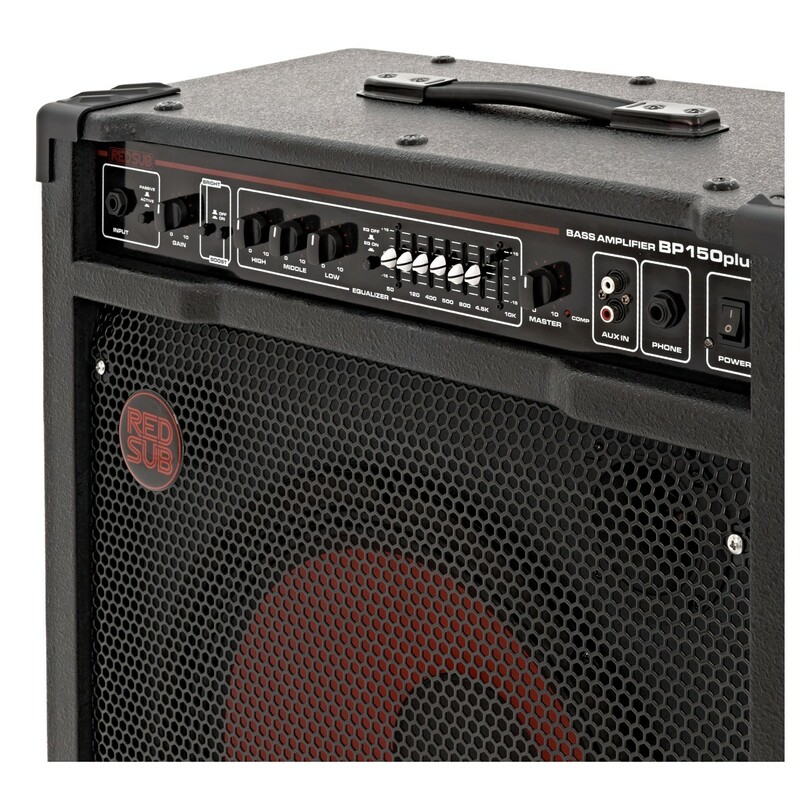 Sound shaping and getting that perfect tone is easy with the BP150plus Amp. 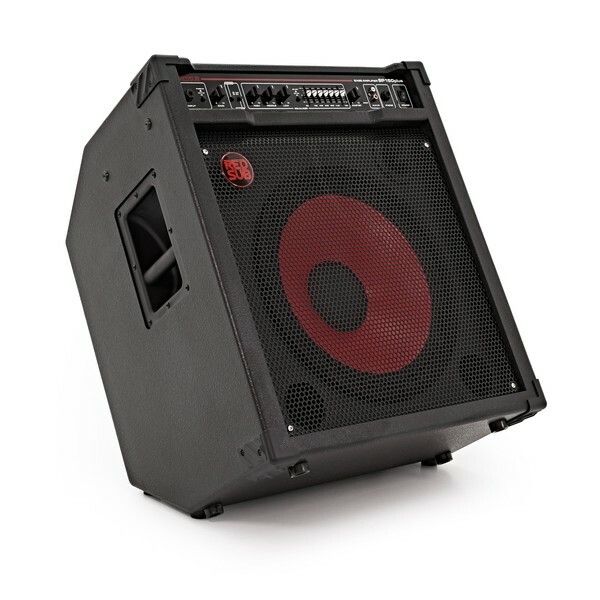 Along with separate level controls for bass, middle and treble, there are also bass and bright boost switches, and a 7-band graphic equalizer with a switch, which means you'll easily be able to get a range of great sounds from the 15" driver. 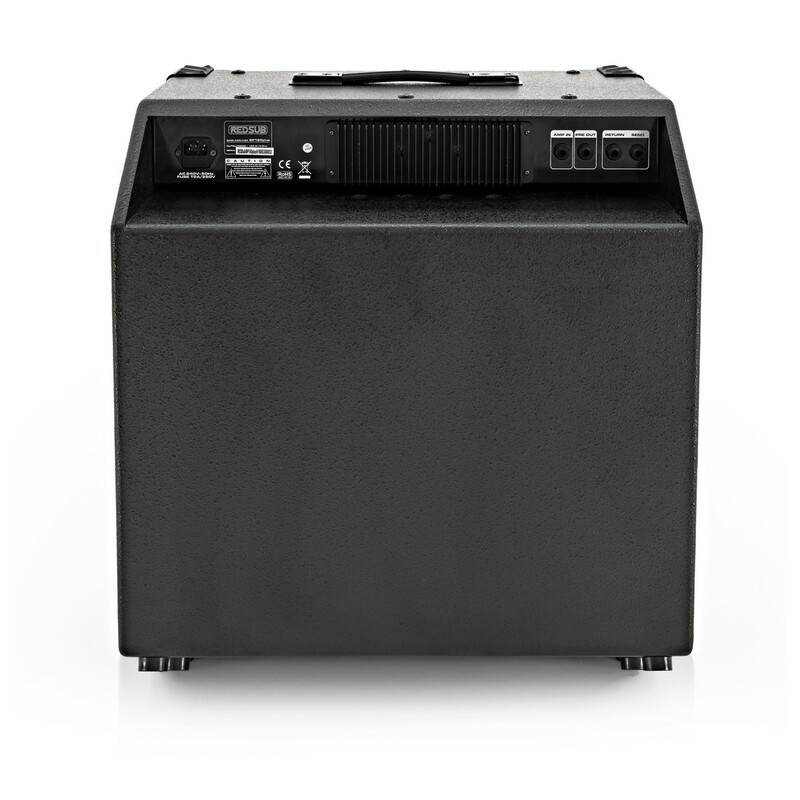 This amp also has a built in compressor that kicks in at high volume, so you will not get any loud peaks or notes sticking out, and there is no danger that your speaker will get damaged when really driving the amp at high volumes. 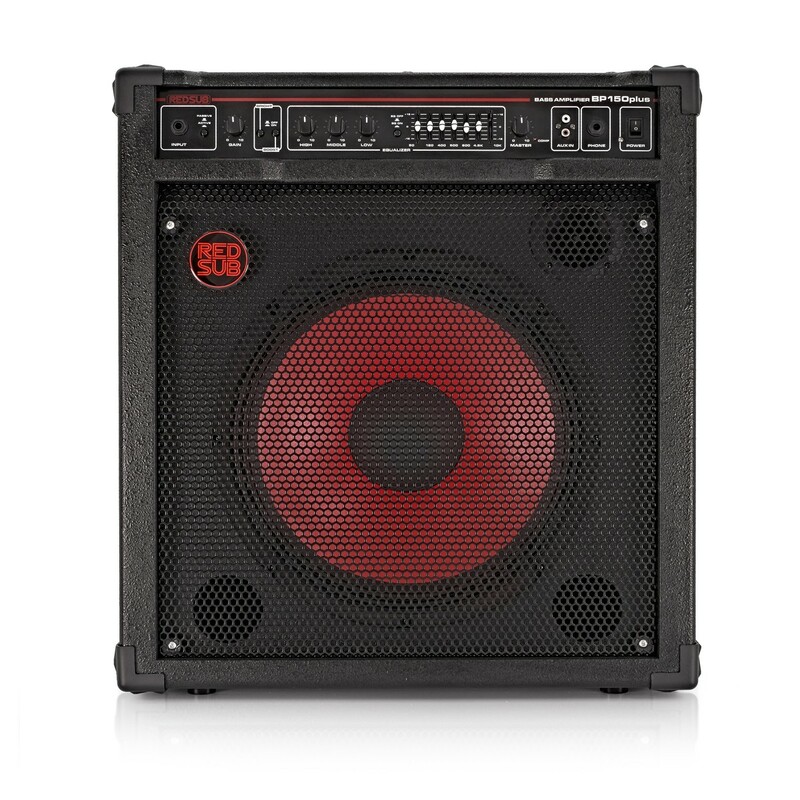 The RedSub BP150plus is a versatile amp with features that make it perfect for home practice as well. The amp features a headphone socket, so it can still be used at home without waking the neighbours, and an RCA input, which means you can easily connect your CD or mp3 player. 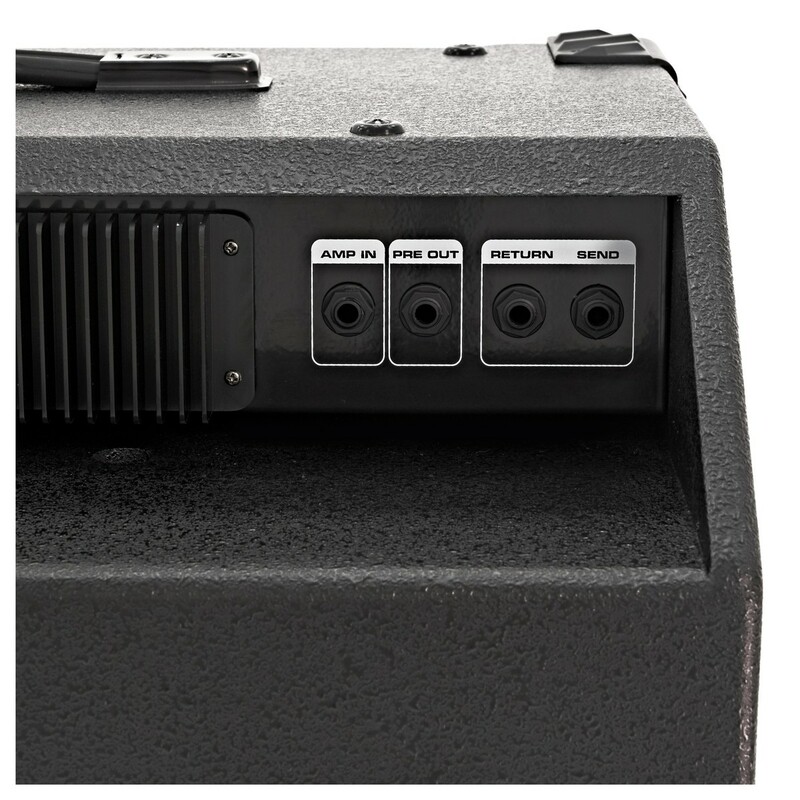 Finally, the durable covering and sturdy cabinet mean this amp will endure the rigours of touring whilst the handles on the top and sides are vital for transportation.